The train had a relaxed 30 minutes no hurry halt at Hillgrove for passengers to freshen themselves up. Monkeys had a gala time waiting for passengers to treat them. Atlast it was time for continuing with the descent. 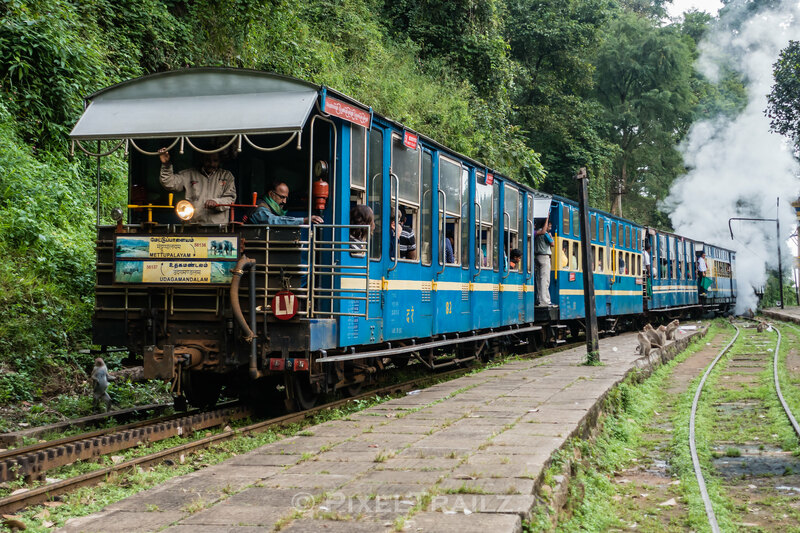 As the train Chugs and fires along, we decided to pack up for the day and go down to the road along a narrow but defined path with the railway employees.